Thanks for the great gift card giveaway! Thank you Totally Target! You’re the BEST! I would liv eot win thanks! Lol, that card is adorable. and I “Like” you on FB, too. It would be amazing to win!! I would really love to win & I LOVE totallytarget! I already like you on Facebook. I would love to win this awesome gift card. Thanks for the awesome opportunity. Thanks a lot! Love Target! 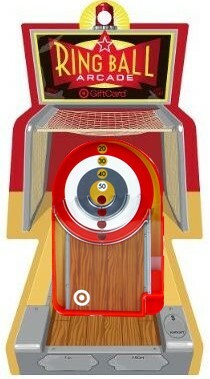 The pinball gift card is really cute. What a fun gift card. I’d love to win! I am laid up in bed with a sprained ankle. Winning this would sweeten a sour day! Thanks for the chance to win the gift card!!! Target is the best all around store out there!